NBC News Signal, an online streaming service that will expand later this year, created a dynamic animated explainer of applause at the State of the Union. The digital short has a viewport “wandering” around the virtual space focusing on letters, outlines of images and numbers that coordinate with the narrator’s key points. 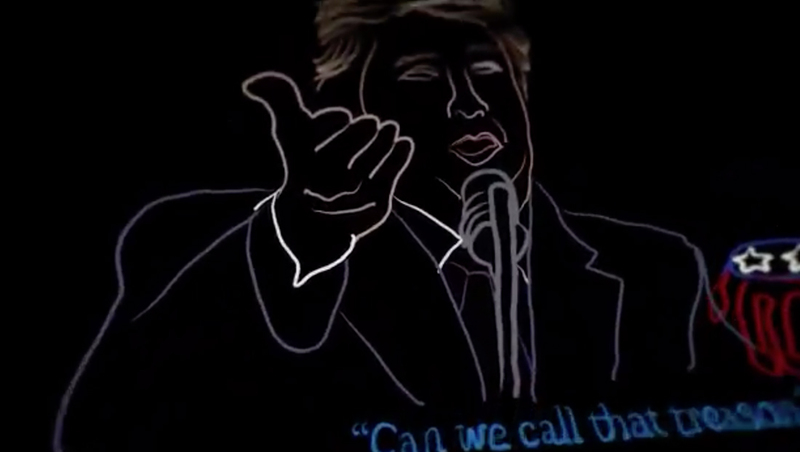 The overall look of the video is similar to the mixed reality pieces NBC’s Left Field video project has created using the Google Tilt Brush — though this one doesn’t incorporate any “real life” setting. 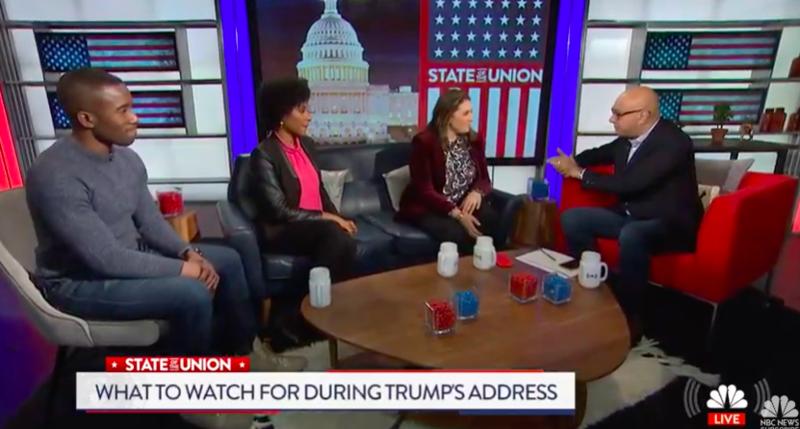 The piece was part of NBC News Signal’s “pre-show” coverage of Tuesday’s State of the Union, with Ali Velshi anchoring coverage from one of the network’s global media insert studios in Rockefeller Center. The studio was set up with a variety of seating along with a large coffee table complete with white mugs and glass cups of red and blue candies. Meanwhile, Dasha Burns hosted four millennials at a “watch party” offsite in a coworking space. 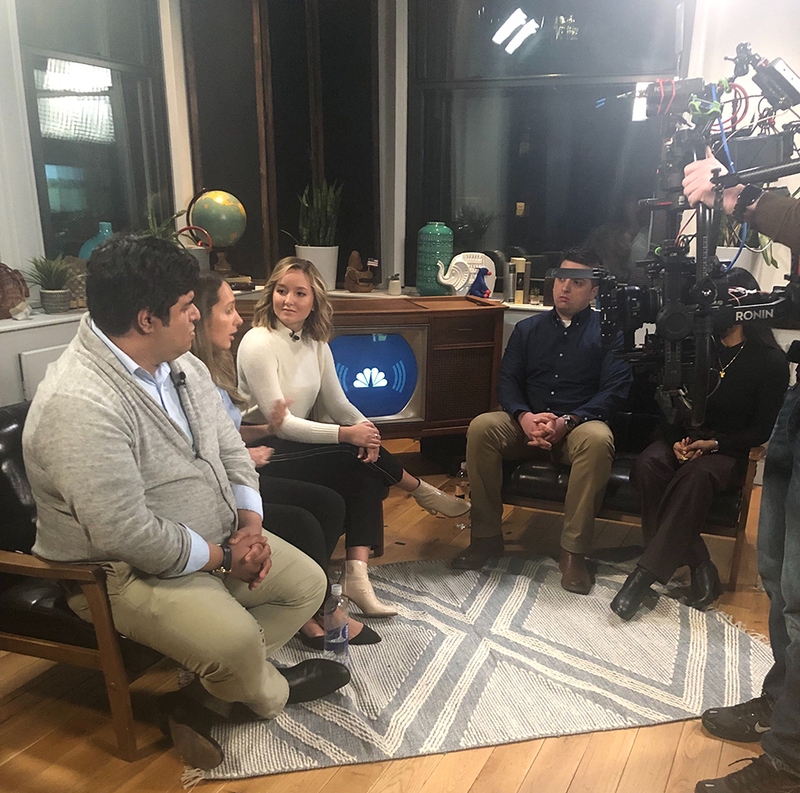 Her setup, in the corner of a windowed room, featured mid-century modern style chairs and a prop old-fashioned television cabinet with the NBC News Signal logo on screen — an interesting blend of literal symbology signals in the logo and piece of tech from the past. Throughout the stream, the network used its normal graphics package but recolored in a red, white and blue color scheme.